You are here: Home / US Powerball News / Celebrities, They’re Just Like Us! They Play the Lottery, Too! Celebrities, They’re Just Like Us! They Play the Lottery, Too! US Powerball is an incredible $205 million, an absolutely life changing sum of money for most of us. Winning the US Powerball jackpot would certainly be enough to make even the wildest of dreams come true. 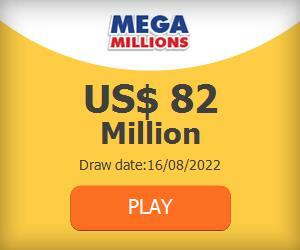 But what if you’re already mega-rich, would you still play? For these athletes and celebrities the answer is a resounding, ‘yes!’. Whether or not you’ve already got a fat bank account, it is always fun to win a couple hundred million more! Singer Nick Jonas plays the lottery, despite the fact that he is already worth millions as a part of the hugely successful Jonas Brothers group. If Nick Jonas already has millions in the bank why does he continue to play the lottery at all? Because it’s fun to win and because it’s fun to see if luck is on your side, perhaps. Baseball player Matt Kemp tweeted a picture of himself holding dozens of lottery tickets despite the fact that he had signed a contract worth $160 million. OK, so if he wins the lottery he will more than double his net worth, fair enough. In the picture, you can see that he’s grinning from ear to ear while holding the tickets, this is a guy who loves playing the lottery! It’s fun! And with dozens of tickets he’s really upped his chances of winning so he’s not doubt more than a little excited when thinking about the huge prizes that could be coming his way. Rob Dyrdek was a professional skateboarder but most people know him from his MTV show Rob & Big. Celebrity news site TMZ reported that Dyrdek recently spent $700 on lottery tickets. Dyrdek’s certainly not broke so he must be playing because he enjoys playing the lottery! A professional skateboarder who made a living with death defying stunts gets such a thrill from the lottery that he buys $700 worth of tickets at a time, what a thrill! Damon Lindelof is co-created the hugely popular and well-written show Lost. Maybe all that time sitting around the writer’s table and coming up with new episodes for one of TV’s most imaginative shows got his imagination going on just what he could do with all that prize money! Stranger things than winning the lottery happened in the make believe world of Lost, this is one dream that could be a reality! Playing the Lottery is Always Fun! Celebrities play the lottery because it’s fun! While the jackpot is really high right now, $205 million, the truth is that playing the US Powerball is always a good time so get your Powerball tickets now!